NEW YORK (AP) — NBC’s Tom Brokaw, about to be honored with his name atop the network’s West Coast news center, says that cancer has slowed him but not stopped him from working. NBC on Tuesday is dedicating its new broadcast facility in Universal City, Calif., as the “Brokaw News Center.” It will host the West Coast operations of NBC, CNBC, MSNBC, Telemundo and local Los Angeles news programs. “It has become a larger deal in my life than I anticipated,” said Brokaw, the former “Nightly News” anchor who began his NBC career in Los Angeles. He graduated from University of South Dakota in 1964. Brokaw, 74, has been undergoing chemotherapy for multiple myeloma, a cancer affecting blood cells in the bone marrow. He was diagnosed last summer. Since stepping down as “Nightly News” anchor in 2004, Brokaw has kept active as a commentator, filled in as “Meet the Press” moderator after Tim Russert died and has done several documentaries, many with an historical bent. The author of “The Greatest Generation” is working on projects related to the 70th anniversary of the D-Day invasion, and a story on Hollywood filmmakers in World War II. 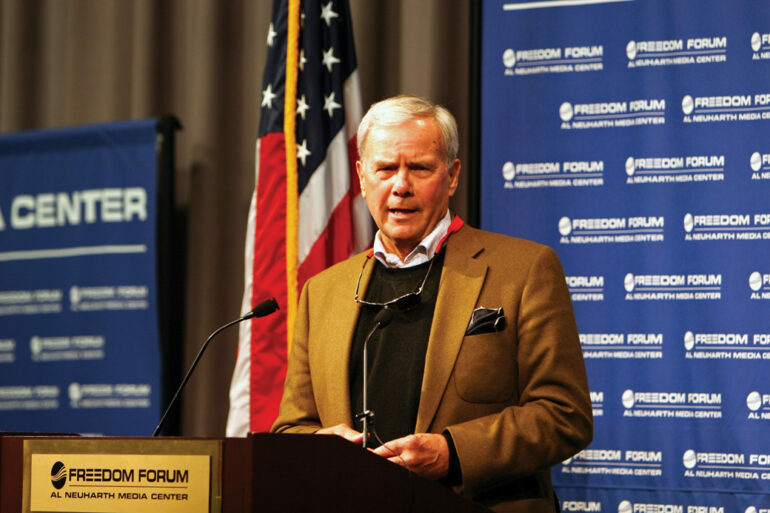 Brokaw said he and Rick Atkinson, author of a World War II trilogy, will give lectures on a boat ride from England that is set to land in Normandy, France, on the anniversary of D-Day in June. The veteran newsman said he finds the work therapeutic. It’s not all work: Brokaw said he’s sent his doctor tapes of fishing techniques with the question, “I should be able to do this by now, right? David Bauder can be reached at dbauder@ap.org or onTwitter@dbauder. His work can be found athttp://bigstory.ap.org/content/david-bauder.